Over the last week or so, IJR Patron and Archbishop Emeritus Desmond Tutu has provoked a national conversation on the prospect of a ‘wealth tax’ imposed on affluent white South Africans, which he suggests would advance ubuntu and reconciliation while contributing to ‘the national effort to uplift the poor’. (more…) In an article in the Cape Times this morning, he traces this proposal to the 1998 recommendations of the Truth and Reconciliation Commission (TRC) in which ‘the idea of a tax for whites, as a form of reparation, [was] raised’. Interestingly, this recommendation has come at a time when the global economy has suffered a further round of serious instability, South African labour strikes for wage increases have again become acrimonious, and American billionaire Warren Buffett has called on the US government to ‘stop coddling the super-rich‘ and ‘get serious about shared sacrifice’. The Freedom Front + has called the proposal ‘racist and thoughtless‘. Issues of apartheid reparations, redress, economic transformation and poverty eradication all lie at the heart of this conversation. 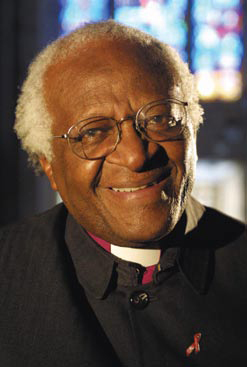 Irrespective of your position on Tutu’s proposed wealth tax, few among us can disagree with his assessment that South Africa continues to be ‘a society of fantastic wines and restaurants and expensive tastes in automobiles, wrist watches and real estate‘ for some, while millions of others continue to live in poverty. The South African Child Gauge 2010/2011 reports that as of 2009, 60.5% of South African children (about 11,252,000) lived in poverty, in households with a monthly per capita income of less than R552. Meanwhile, according to Statistics South Africa’s 2005/06 Income and Expenditure Survey, at that time the most affluent 10% of the population had a shared income of R381 billion, compared to R1.1 billion among the least affluent. While the reparations through the President’s Fund are important and should be considered carefully, is it worth thinking about how much more could be achieved with an additional 1% tax on the income of our wealthiest 10%? What are your views on Tutu’s proposed wealth tax, prospects for reparations, and creative solutions to economic transformation and poverty eradication?